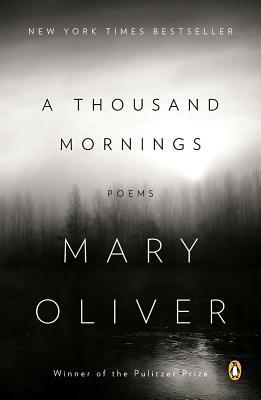 In A Thousand Mornings, Mary Oliver returns to the imagery that has come to define her life’s work, transporting us to the marshland and coastline of her beloved home, Provincetown, Massachusetts. Whether studying the leaves of a tree or mourning her treasured dog Percy, Oliver is open to the teachings contained in the smallest of moments and explores with startling clarity, humor, and kindness the mysteries of our daily experience. Born in a small town in Ohio, MARY OLIVER published her first book of poetry in 1963 at the age of twenty-eight. Over the course of her long career, she has received numerous awards. Her fourth book, American Primitive, won the Pulitzer Prize for Poetry in 1984. She has led workshops and held residencies at various colleges and universities, including Bennington College, where she held the Catherine Osgood Foster Chair for Distinguished Teaching. Oliver currently lives in Provincetown, Massachusetts.